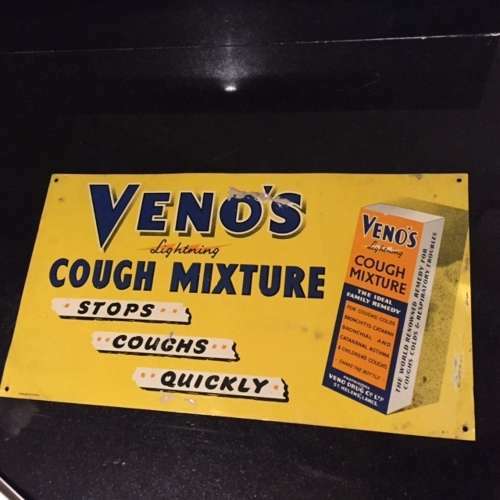 1960s/70's Printed Tin advertising sign for Veno's Cough Mixture. overall condition and colours good. Some maeks over VENOS and down right hand side.